Oh yum! Decadence at its best. That sounds like a delicious combination! Yum – the salted caramel icecream would have been so good paired with these. 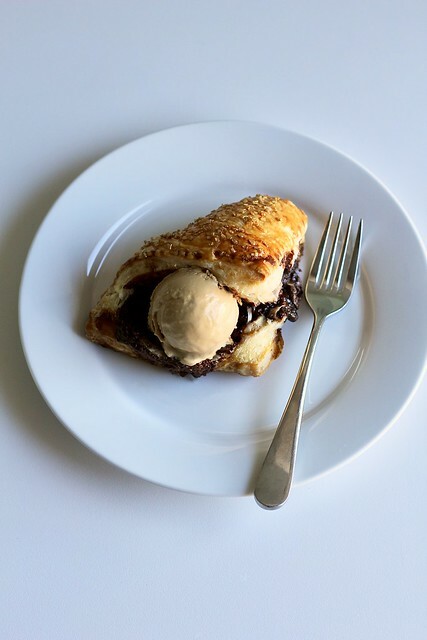 I LOVE how you rolled with the burst pastry…it looks like you meant to do that…like an ice cream cone! Great job!! Ice cream is always a welcomed side dish. Closed or not I am sure they were delicious.